An update for Event Espresso 4 is now available. 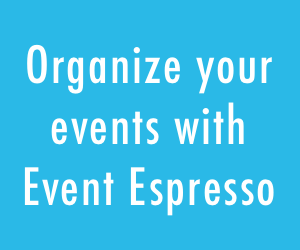 Event Espresso 4.2.6.p offers one enhancement and 13 fixes. I have having issues with version comptaibilites on my WordPress installation and need to rollback EE. Can you please send me a link or the Event Espresson 4.2.6.p version download as soon as possible. The quickest way to get an older version of EE4 that’s compatible with your setup is go to your account page, opt in to the pre-release channel, and download “EE 4.3.2 for PHP 5.2 Customers”. You can download this from your account page *after* you click the box on your account page to opt in to the pre-release channel.